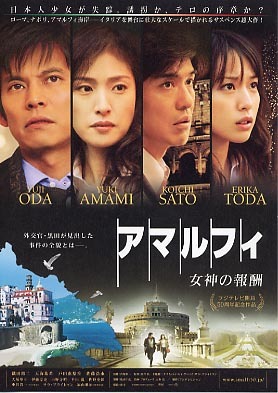 Kuroda Yuji Oda is a foreign diplomat working in the coastal town of Amalfi, Italy. 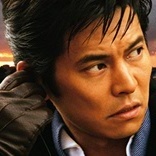 He investigates the case of a young Japanese girl kidnapped off the streets of Rome at Christmas, eventually falling in love with the girl's mother (played by Yuki Amami). "Amalfi" is a special production by Fuji TV to commemorate its 50th anniversary. The film was shot entirely on location in Italy. Shooting occurred from December 15, 2008 to the end of February 2009. William Aug 09 2009 2:25 am HI, When it will be published outside? Giulio Jul 21 2009 1:59 pm Why I can't see the name of Rocco Papaleo, one of the best italian actors, in the cast? RamenLover Jul 20 2009 5:37 am Diego the movie was just released in Japan, so outside of the movie playing at local festival near you, not likely you can watch it on DVD anytime soon. Diego Jul 20 2009 4:17 am Please, could you tell me how is possible to see or to buy, online, the dvd of the movie? probably one friend of mine has been taken in the roman cast.